With iOS6, Apple tried to break one of its last links with the Mountain View giant by replacing Google Maps installed by default on all new iPhone with Apple Maps. Is this another episode of the eternal battle between the Cupertino based company and the major player of the Internet business field? 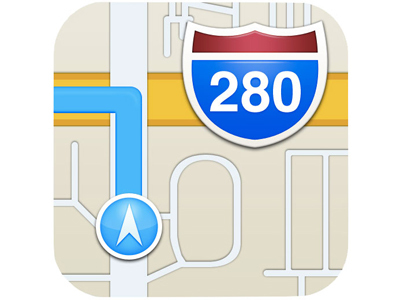 Or is it a sign that Apple, just like Microsoft aand Nokia understood that maps are one of the future’s major challenges. Apple engineers have announced they will propose a neater interface due to their partnerships with TomTom and Open Street Map. However, Google has a big step ahead. If taking over the map data freely available, or even implementing their own satellite images in a similar manner to the one used by Google Earth is almost a child’s play, catching up with the 8 million kilometers traveled by Google Cars and with the amount of data collected this way is another story. Entire websites have been quickly built up showcasing the errors contained by Apple’s cartographic product: mislabeled cities, business listing mistakes, geopolitical confusions, overseen landmarks, and so on. These may be reasons for which Google has announced a 400 years advance over its competitors and for which, a few days after the launch, Apple withdrew their maps from the market, advising iPhone users to stick to Google Maps. That driverless cars are far from the spirit of Apple, Nokia, TomTom and Bing is obvious and so is the fact that they are trying to dent, at least a little bit, Google’s monopole. Apple Maps may be less efficient than Google’s product right now, but from the consumers’ point of view, the arrival of effective competition on an important market is certainly beneficial. As we have got to know Apple so far, they are not going to abandon the project totally and their maps are likely to come back with an improved version. The only question is how long it will take them to reach a good enough level. If you are tired of your PC and want something that will help you have more maneuverability and be able to do your work on the road while travelling, a laptop is by far the best option. Here are some of the most high end laptops you will ever get your hands on reviewed to help you choose the one that fits your need the best. This laptop is a great tool for anything you might need to do. It looks amazing so it gets a lot of points when it comes to design. It measures 17 mm at its thickest point and 3mm at its thinnest. It comes with two USB ports, one with USB 3.0 and also Wi-Fi and Bluetooth 4.0 wireless connectivity. It comes with 128 GB storage and no DVD drive apparently, which can make it pretty hard to handle for most users. This seems to be a copy of the MacBook Air. It has a i7 processor and the battery lasts for about 4 hours so you will be able to take it whenever you want without worries. 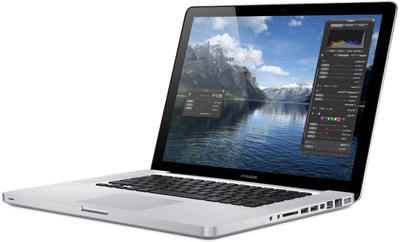 The new processors on the 2012 MacBook Pro are a big step forward as they offer greater speed and more computing power. It comes with Intel Core i7 Ivy Bridge chips, which is definitely better than the Sandy Bridge CPU that were used the previous year. It comes with a graphic card NVIDIA GeForce GT 650M either with 512 MB or 1GB of GDDR5 and for the first time they use a USB 3.0 port and it also comes with optical drives, FireWire and Ethernet ports. This laptop is a great way to make sure that you get everything you need in a smaller case. 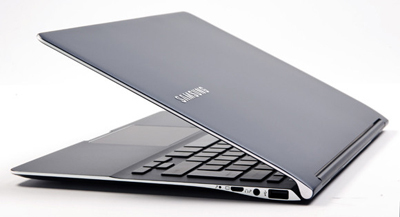 It has an incredibly thin case and it only weights about 1.2KG, which makes it even lighter than the MacBook Air. 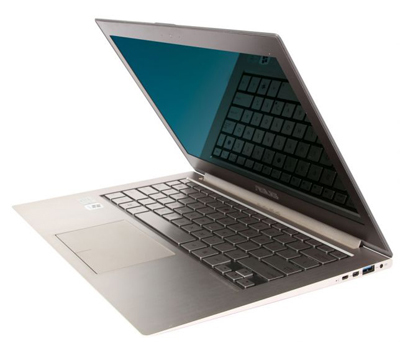 It comes with a great Intel Core i5 2467M processor which is a great tool for multitasking. Unfortunately, this laptop comes with a dedicated graphics card so you might not get the best when it comes to video quality. The battery goes for about 4 hours so you’ll have plenty of time to work. Whether you have to buy a gift for your own son or you are looking for a gift to buy a young boy, things can always get complicated because there are so many things kids want nowadays. However, we managed to compile a list of cool gifts for a young boy that will definitely make them ecstatic. Here are some of the coolest gifts you should get a boy with an age from 8 to 14 for his birthday. Walkie Talkies – Your boy will absolutely love these as he can play various types of game using them. The best thing about them is the fact that he can pair up with his friends and they can all play commando while hiding around, so why not get him something that will promote a fun outdoor activity? You can buy them for about 40-60 dollars, depending on the brand you are choosing. Your kids will love them as they will be able to communicate and you can even get one to communicate with them and make sure that they are playing around your home. 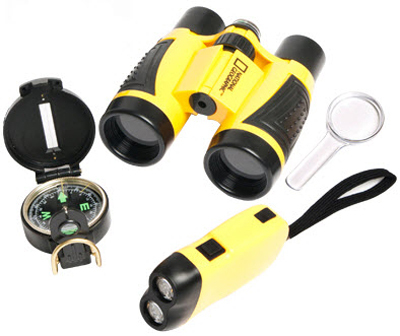 Kid Outdoor Explorer Kit – Why not give your kid the adventure of his life with this cool Outdoor Explorer Kit? If they are interested in nature or insects they will find this absolutely amazing. it contains a sketchpad, colored pencils, headlamp with batteries, backpack, magnifying glass and a bug checklist. LEGO Ideas Book – Every boy loves LEGO so why not buy him a book that will give them more ideas about this wonderful play set? It seems that children who grow up using LEGO have a better abstract thinking so why not start modeling your child from an early age and help them increase their abilities. Bike – the good old bike will provide with numerous hours of fun activity. Every boy wants a bike and you should definitely buy one for your son sooner or later. You get a bike for various amounts of money but we definitely advise you to get a high quality one as you shouldn’t expose your child to an unsafe object. A high quality bike usually goes from 100 to about 200 dollars. If you are looking for a new way to advertise which is guaranteed to attract new customers and make your marketing plan much more efficient, then all you need is interactive projection. This new technology can be applied on basically any flat surface and turn it into something amazing and fun. Customers that walk by will simply stop in their tracks at the chance to see how this works and this means a lot of new curious clients. Interactive projection such as an interactive floor can respond to people that simply walk over it and can offer a new experience every time while promoting an idea, a brand, a product or pretty much anything else you can think of. An interactive floor is a great way to advertise and there really aren’t any drawbacks to it. Specialized companies can set up an interactive floor in no time and there are a lot of patterns to choose from and create your own special projection. The way the floor changes as someone walks over it is totally up to you and you can choose to make it a welcoming message, an interactive game or a small commercial. 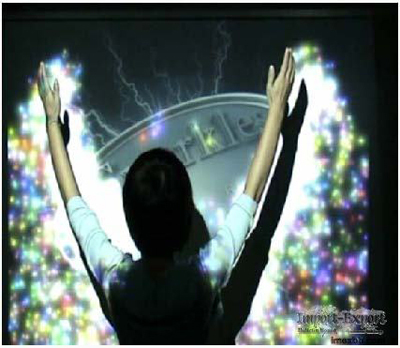 However you choose to advertise while using interactive projection, the results are always the same and people are drawn to this new way of advertising. The traditional ways of advertising are no longer efficient and people simply ignore them and pass by. There is so much advertising going around us that we can’t even notice it. This is where interactive advertising comes in handy because it brings something new to the table, something that will instantly get noticed and it is enough to walk by a seemingly normal picture and be amazed to see it change and interact with your every move. The effectiveness of interactive projection stands in its ability to catch the attention of the audience, what you choose to do it depends on how you want to advertise your brand and what you are selling. Some companies choose to offer a pleasant interactive game while making the customer more familiar to the brand. Shopping during holiday can be a really big struggle and with all those videos on the internet with people literally stepping on each other in the malls, you would be a bit reluctant to actually buy something during those times. But online shopping is a great opportunity to make your shopping without crowds, waiting, and having to be stressed about the traffic. Here are some tips to keep in mind when doing online shopping during the holidays. Make sure that you find the discount sites – just like the traditional stores, all online stores will have discounts during, before, and after the holidays, so it is best to search for the best prices before buying. This is a good way to reduce your budget drastically, especially when it comes to toys or electronics. Buying these on the internet will definitely help because most of these items have a higher price in malls or other shopping centers, especially during the holidays. All you need to do is search for the name of the item you wish to buy on the internet along with the word “discount” or “sale” and you will probably find a few entries. Buy your items earlier – the tricky part about buying online during the holidays is the shipping time. Shipment can be really slow during that period so the most important aspect is to make sure that you buy your things a few days earlier. If you manage to order your item at least one week before the event, it will probably reach its destination, but don’t order it two or three days before Christmas for example, if you know the roads are snowy and traffic is terrible. Another important thing when buying earlier is the fact that you will pay lower prices. The longer you wait and the sooner the holiday is, things tend to get more expensive because people are desperate to buy presents and goods. 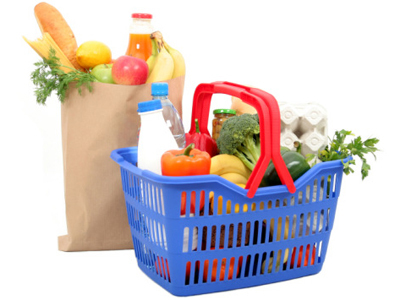 Order your food – if you can’t find anything in the supermarket, try the online supermarkets. The food might be a little bit expensive but you will actually save on gas and skip the headache you get when you wait in line for hours. When you can buy things from the comfort of your home, why go to the supermarket during a blizzard or rush hour? Security – Make sure that you buy from secured websites, a lot of websites might be a disguise for phishing scams, so always check if you have a secured connection. The iPad is clearly the market leader when it comes to tablets. However, you might not want a high priced high end tablet but you might be looking for something just as good or even better for less money. Here are some of the best tablets the market has to offer when it comes to both performance and looks. This tablet has everything you need, speedy performance given by the quad-core Tegra 3 CPU, great graphics with the bright high resolution screen and high quality design with lightweight and great maneuverability. Unfortunately, it lacks microSD card slot and no back facing camera that might make most people reluctant to buy it. 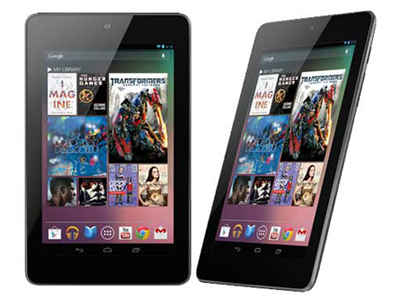 However, it uses the great 4.1 Jellybean Android so it can be a great alternative to an iPad, costing about 250 dollars. 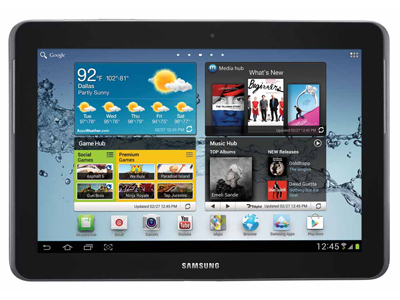 The Samsung Galaxy Tab 2 10.1 is one of the best tablets out there, even better than the high end tablets out there. The great thing about the tablet is the fact that it comes with great battery life, which is pretty unusual for tablets nowadays. It also has a great display but one of the drawbacks is the poor quality camera that is only 3 megapixels. It comes with 16GB Internal memory and a microSD expansion of up to 32GB. The 1GHz Dual-Core Processor is a good addition as it makes it one of the most responsive tablets on the market. If you don’t want to spend a lot of money on a high end tablet but are looking for better build quality and more functions than a very cheap one, the Acer Iconia is for you. It has good graphics and good overall performance, long battery life a nice user friendly interface. It also has a good feel and great build quality. To keep the price low, the manufacturers had to make some concessions like no rear facing camera and the fact that it weigh a bit more than other tablets in its range, but these aren’t very big issues. This product has a very good price to quality ratio, and is a good deal for the money paid. The first thing to check when buying jewelry online is the quality of the product. For costume jewelry, you look at the type of materials used, at the design’s originality, at the finishing elements (the type of fastener used for necklaces, for example). The value of jewelry is related to proportion of gold or silver it contains, to the quality of manufacture as well as to the stones. Gold jewelry items must bear one of the seals: 916 (formerly called 22 carats), 750 (18 carats), 585 (14 carats) or 375 (9 carats), while silver jewelry may be 925 or 800. This information is usually certified by a punch on the back of the product. Jewelry called “plated” must also meet certain criteria: a gold layer of at least 3 microns and a silver layer of 10 microns. A simple way to assess the diamonds’ quality is to use the 4 C method: cut, color, clarity and carats. The higher the ranking in all four categories, the greater the jewel’s value. 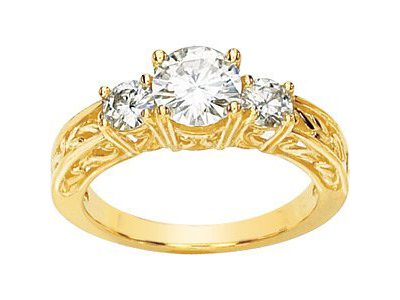 There are also some technical details you must consider when buying jewelry online. Make sure, for instance, to check the length of bracelets and necklaces. Women who wear jewels every day know how long a necklace should be when they see it. But when you buy it online, you cannot appreciate its length or the pendant’s position correctly. Therefore, it is recommended to measure other items that you already have and to think about the clothes you will wear with the necklace. Is it a turtle neck, a round neck or a shirt? Buying a ring is more delicate. Unless you choose an adjustable model, you often have to know its actual size. Some sites offer grids to help you associate the size of their rings to the circumference of your finger. Otherwise, it is perhaps better to ask before finalizing the purchase. To the consumers’ delight, the possibilities for grocery online shopping become more and more numerous. Ease of action, comfort and convenience – these are the key words when it comes to using the electronic commerce to make the weekly food provisions. However, you should know there are some restrictions and drawbacks. Dairy, meat, fruit, vegetables, clothes, electronic appliances, office supplies, media, child care, beauty and cleaning products, they are all there. A wide range of choices is available online, but the offer remains narrower than in the conventional supermarket when it comes to brands. However, the biggest problem appears when it comes t delivery areas which are very limited with some online supermarkets. Generally, only big cities’ residents have access to this distribution network. Those living in rural areas and in small towns are very likely to be disappointed as it not sure that they can take advantage of these technological advances. Although your first online order may be a bit tedious and it might take you some time, the following are much easier! Indeed, most online grocery shops memorize the details of your previous purchases. Customized shopping lists can also be created and stored in your account. This is a good way to save time and to avoid falling too easily for unnecessary or unwanted products. When you are in the store, you always check the use-by date of a product before putting it in your cart. When you purchase your groceries over the Internet, it is, obviously, impossible! The websites are trying to overcome this problemby making commitments to deliver fresh products. Morever, when using this commercial channel, you can get the frozen groceries in this exact state. However, there might be a certain minimal number of packs you have to order. Another factor to consider is the delivery price which can have an impact over the total cost. However, if you are a regular customer or if your order surpasses a certain amount of money, you might be able to cut these expanses. While there are many articles that say about the beauty of online shopping, there isn’t much information about the negative aspects of it. Many people have started using this method of shopping for various reasons but it is always good to know the good and the bad before doing something new. Online shopping, like everything else, has some disadvantages which need to be considered. Starting with the fact that everything you choose is done online, meaning that you can’t really touch the product and take a closer look at it before you decide what to buy. Pictures are available on online stores but they hardly offer the necessary information to make the right decision as far as quality-price ratio goes. The payment options can also be a disadvantage because there is always a risk when introducing your data online. This might be a security risk on the client’s part or from the online store and it is a problem worth considering. Online scams are very popular and that is why people need to pay extra attention when buying online. Some stores might not be what they seem and the quality of the products can disappoint the customer when they arrive. Shipment is also a problem because the customers can’t get their items, pay for them and walk out of the store; there is always a waiting period involved until the items are delivered to the agreed upon address. The time it takes for a package to be delivered can vary depending on the distance between the customer and the store as well as the shipping method used. This also involves extra costs which are sometimes covered by the store but this isn’t always the case. These costs are not usually displayed upfront so even if something has a smaller base price, the lack of full cost disclosure can mean that additional shipping costs are only added when the process is almost complete. Different stores have different privacy policies and this can be a problem to some customers that don’t want their information used for other purposes such as annoying telemarketing. Buying toys in the presence of kids is not an easy task as, often marveled at the rich diplay of treasures, the little ones do not know on which toy to focus and do not easily succeed to make their choice. Therefore, many shopping expeditions end up in a family crisis often accompanied by tears. But there is one solution to purchase toys without having to drag you’re your children to shops and without having to break their heart because you don’t have the money to buy the whole store. It is called online shopping and it can be the perfect solution for purchasing toys and surprizing your kids. You can start your shopping experience by an internet search in order to see which are the latest trends on the market, what is new and what the kids prefer. Once you have chosen your product, use a price comparator to see where you can find the best deal. You should not forget to check the delivery policy as well because here there might be some hidden fees worth taking into consideration. You can buy the toys with multi-channel retailers as well as with pure play retailers that have extended their business to the virtual world. While most parents know very well the popular toy store Toy R Us and they also know the existence of its website, you should also consider that there are equally other stores that can offer the possibility to purchase toys online. Indeed, small shops as well as large chains offer a good selection of toys at competitive prices. 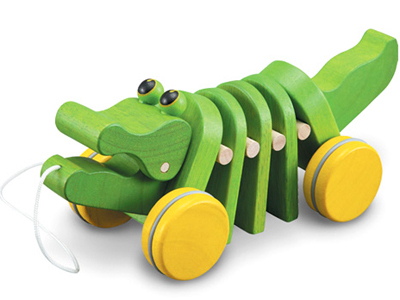 Their products range from baby bauble to educational games for children of preschool age. With the Canadian Grand River Toys store you will discover a wide range of toys such as soft rag dolls, the cute toolbox to imitate mom and dad, the race car or the doll’s tea set. It includes over six thousand items form most major brands of toys and offers shoppers an application to guide them when making their choice.